Bolzano-Bozen is the Capital of the Autonomous Province of Bolzano, in the North of Italy, in the Region called South Tyrol (Südtirol or Alto Adige) situated on the border to Austria, at 265 m above the sea level. Its population reaches approximately 100,000 inhabitants. The Region is unique for its rich cultural tradition combining the German, Italian and Lading speaking community identity and life style and languages. It is famous for its precious Alpine natural resources including valleys, passes, rivers, lakes, vineyards, apple orchards and its typical small settlements that make the visit and stay in South Tyrol exclusive also because of the many local feasts, food tastings and folkloristic attractions and events organized throughout the year. Bolzano is known as the “Door to the Dolomites”: formed about 260 million years ago, the Dolomites have been declared World Heritage by the UNESCO Commission in 2009. The WHS area covers about of 231,000 hectares, divided between different provinces. Some areas of the Dolomites, a paradise for climbers and hikers, but also for skiers, offering 30 winter holiday resorts in the Ortler Skiarena and Dolomiti SuperSki carousels, are reachable in a short time by public and private transport. Thanks to the Autonomy Statute the region of South Tyrol, enjoys special autonomous administrative powers which help support the sustainable development of the place´s unique cultural tradition while preserving its precious alpine resources. 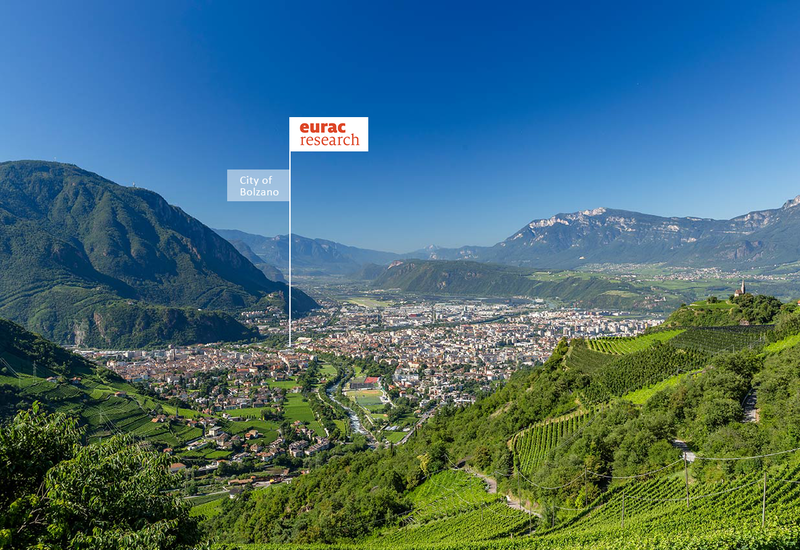 Eurac Research is based in Bolzano-Bozen. It is a private research centre dedicated to applied research. It was originally founded in 1992 by only 12 members. In the past 25 years the center grew immensely and, at present, the center accounts for over 400 researchers from all over the world. Also the thematic outreach and orientation expanded: today there are 11 institutes assigned to 4 macro-themes of research comprising the area of Autonomies, Mountains, Health and Technology. 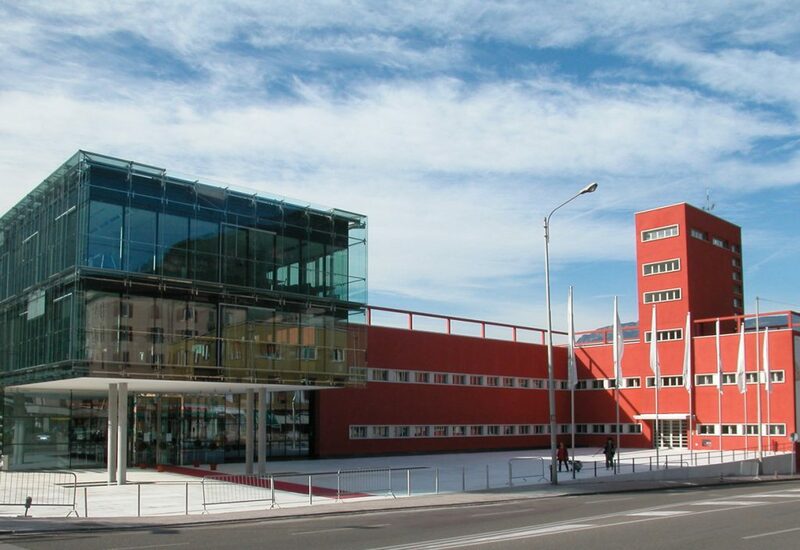 Eurac Research focuses on applied research and stresses interdisciplinary approaches inside the center and beyond. There is a strong orientation both towards local issues and towards regional, national and international studies and co-operations. Eurac Research addresses up-to-date societal, economic, environmental, technological and cultural challenges and future prospects and puts a special focus on issues linked to health and wellbeing, sustainable energy, well-functioning political governance and an intact social system and environment. Complex questions are tackled by adopting an interdisciplinary approach and by organizing single projects around three major themes: Regions fit for living in, Diversity as a life-enhancing feature and A healthy society. To undertake research is to challenge conventional ways of thinking and to transcend limitations. An open enterprise culture and flat organizational structure allow this investigative spirit to develop. There is a specific event team of the Meeting Management Department, in charge of coordinating the registration, ticketing, logistics, technical and catering part, as well as for managing the overall booking services. It will give organizational support during the Congress and is, furthermore, certified Green Event organizer.